Producer and DJ, Jacques Renault, was born in D.C. but he got his education in dance music after moving to Chicago in 1997. Tapping into the well established Drum n’ Bass scene, he held a residency at Smart Bar and became a buyer at legendary label Gramaphone Records. This broad, raw exposure to House lead him straight back to the classics of Disco and to it’s heart, New York City, where he landed in 2002. His distinct sound and ability to gage his audience has made Jacques a stand-out amongst his peers in the elite, international sphere of electronic music. Wrapped in silken swing, he slings samples off the hook and gives the mix ample stomp with funk and jazzy twists. Recently voted as Best NYC DJ for Paper’s Night Life Awards, Jacques has held residencies at some of New York’s hottest venues. 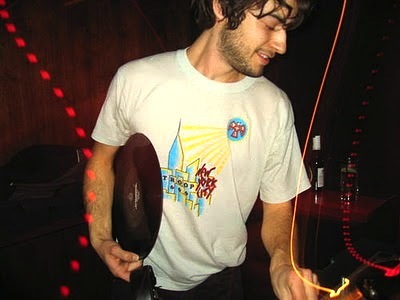 With his remixes (Moby, Canyons, Kasper Bjorke, LCD Soundsystem, Midnight Magic…) and original tracks, he has released music on internationally acclaimed US labels DFA, Chinatown, Italians Do It Better, Editions Disco, and Wurst Edits as well as Parisian imprint I’m A Cliché and London/Berlin’s Rekids. He is also starting a new venture producing tracks for The Hundred In The Hands, formerly known as The Boggs.